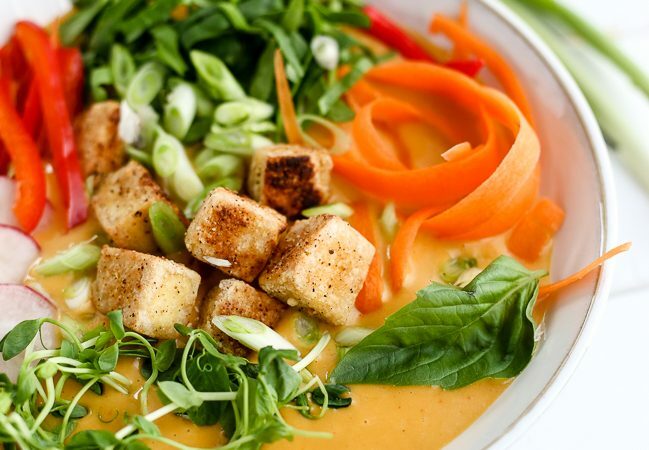 A creamy coconut and Little potato-based red curry soup topped with fresh veggies and crispy tofu nuggets. Soup: In a medium pot, heat coconut oil over medium-high heat. Add garlic, ginger, carrot, and curry paste or powder. Cook, stirring often for two minutes. 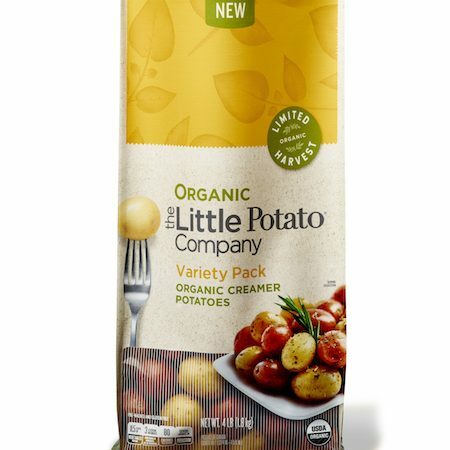 Add vegetable broth and Creamer potatoes. Turn heat down to medium, cover, and simmer for 20 minutes (or until potatoes are fork tender). Add coconut milk and blend on high until smooth and creamy. Taste and adjust salt. 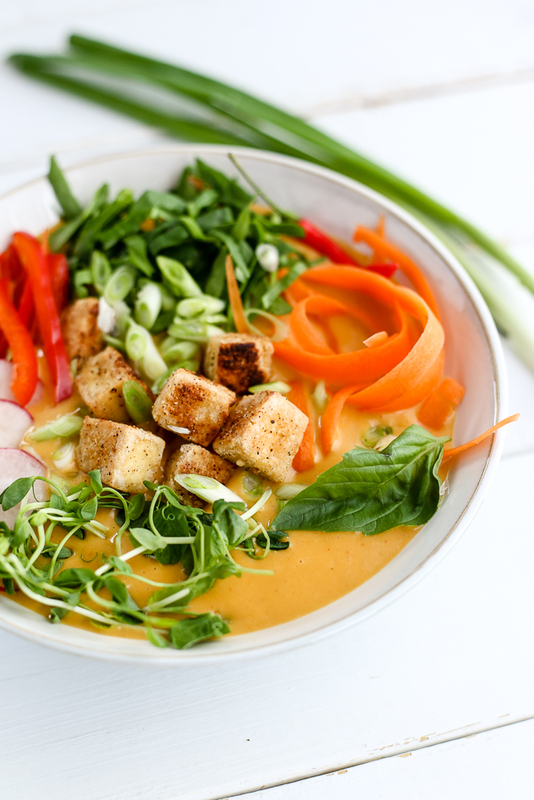 Serve topped with tofu and veggies. Tofu: Combine tofu, corn starch, onion powder, salt and garlic powder. Stir to coat tofu. Mix until the tofu has picked up all of the corn starch mixture. Heat coconut oil over medium-high heat. Add tofu and cook, stirring/turning often until golden-brown and crisp.